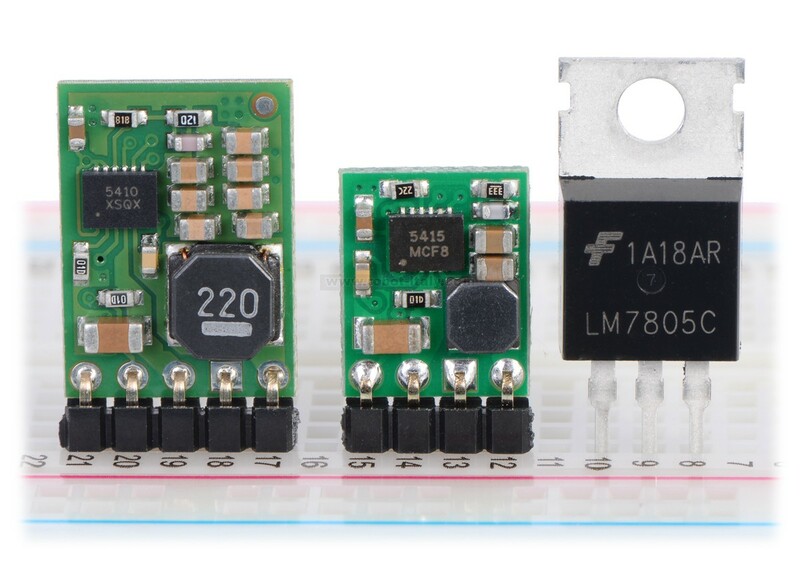 The D24V10Fx family of step-down voltage regulators features the Intersil ISL85410 1A synchronous buck regulator and generates lower output voltages from input voltages as high as 36 V. They are switching regulators (also called switched-mode power supplies (SMPS) or DC-to-DC converters) with typical efficiencies between 80% and 93%, which is much more efficient than linear voltage regulators, especially when the difference between the input and output voltage is large. 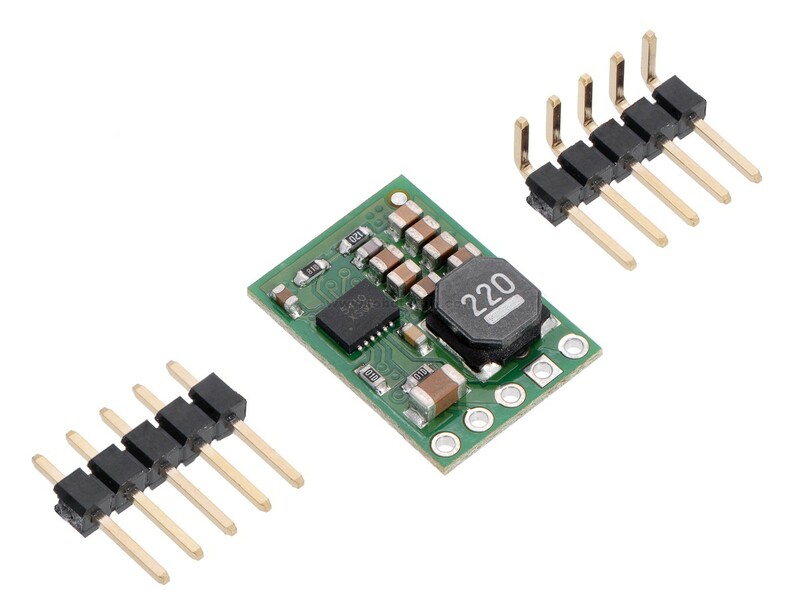 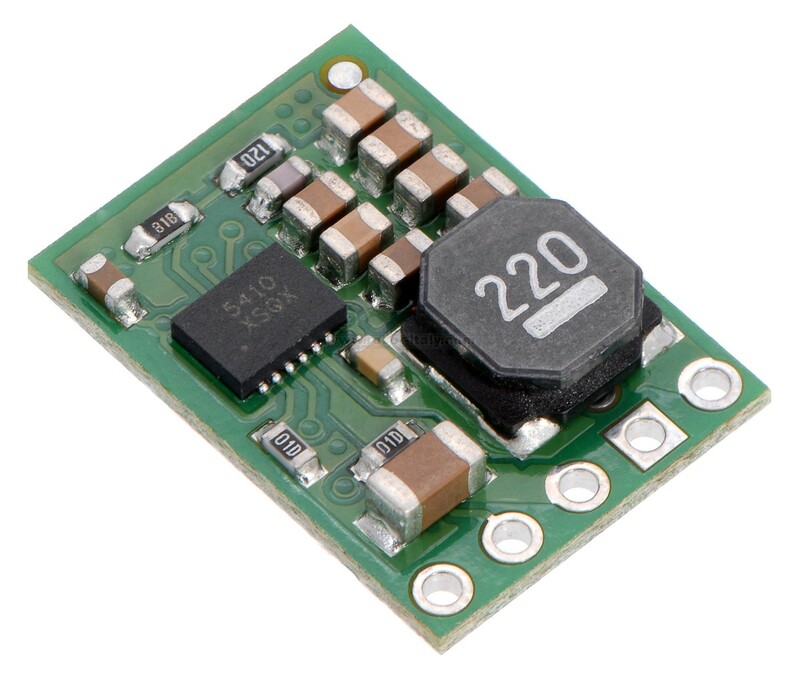 These regulators have a power-save mode that activates at light loads and a low quiescent (no load) current draw, which make them well suited for applications that are run from a battery. 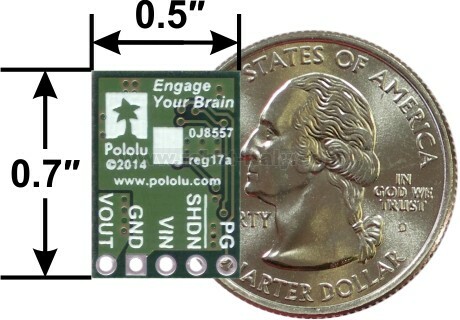 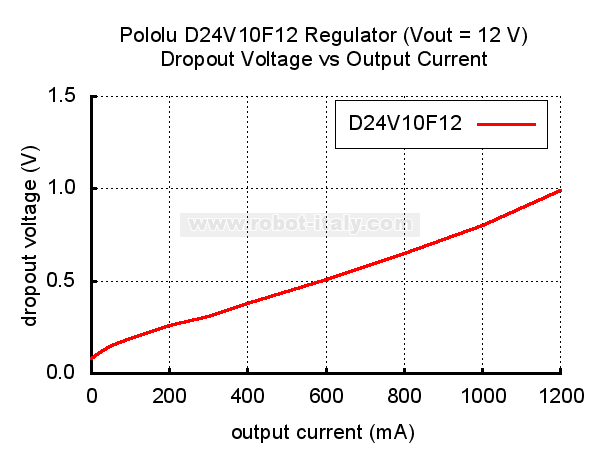 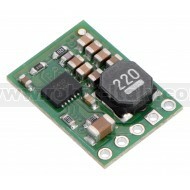 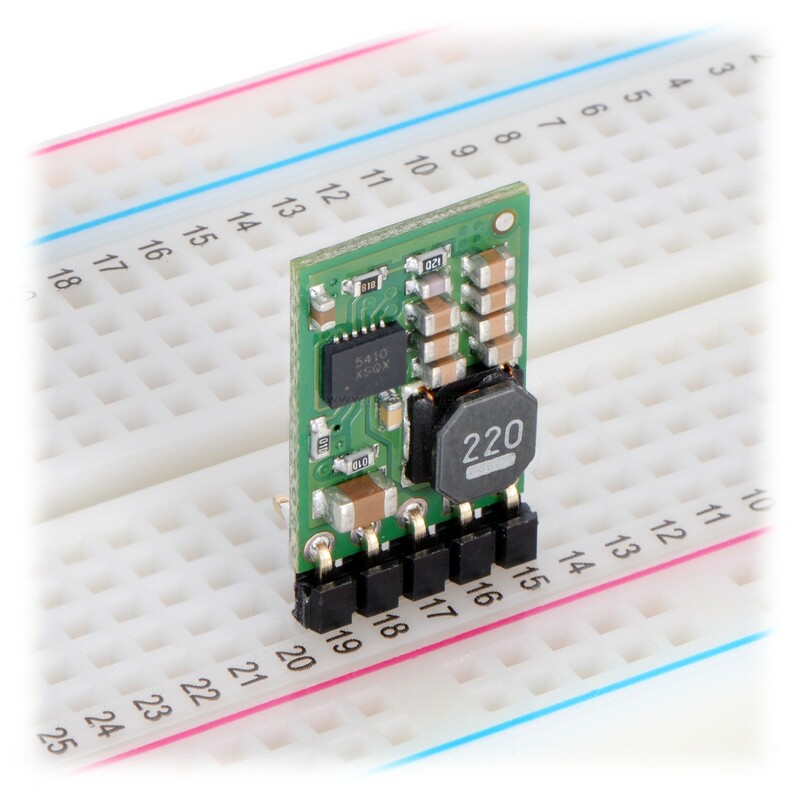 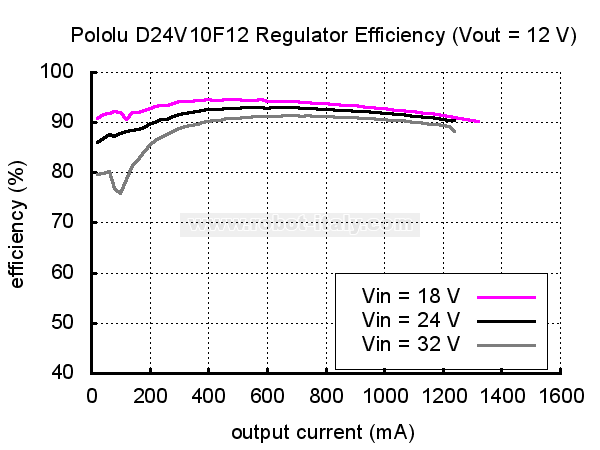 2 For small loads; this voltage rises approximately linearly up to 12.8 V at 1 A output. 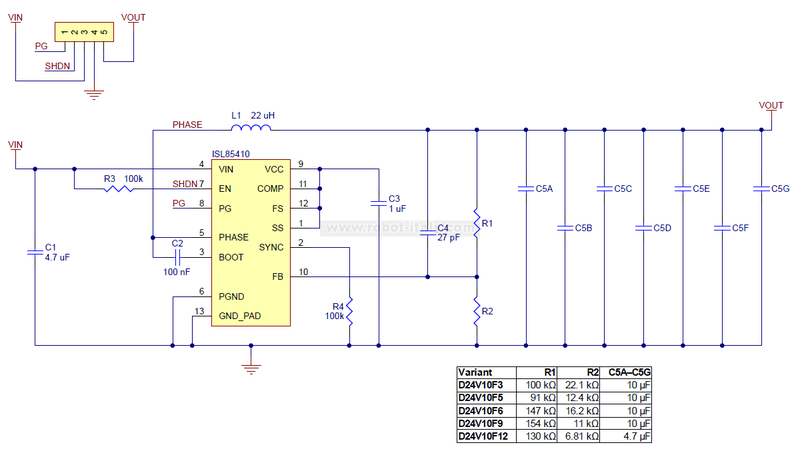 3 While enabled (SHDN = HIGH) with no load; while disabled it is proportional to the input voltage (360 μA when the input is 36 V).